It’s been a few days since I got to chat with a Uruguayan man who announced to me “I hate Fidel.” And, after we exchanged a few lines, he informed me: “I won’t got to Cuba until the era of the Castros and their communism is over.” I assured him that he would lose the opportunity to get to know, with his own eyes, a unique experiment that maybe won’t be repeated in the history of humanity. Surely he went away with the suspicion that I am a maniac or sadomasochist who encouraged him towards suffering. To finish, I assured him that what he would come to know was that my reality is my problem. Especially knowing that those who govern my country for last fifty years, instead of peace, planted guerrillas in Latin America, that didn’t serve any purpose but to augment the pain of its nations. In this case the Tupamaros were made to follow Raul Sendic, or the Montoneros in Argentina, and the Che’s disaster in Bolivia, and that of the guerilleros in El Salvador, who because of so much killing assassinated each other, like the agent, combatant and poet Roque Dalton. And we continue in Brazil, Nicaragua, Colombia, Venezuela, and many more, in some places with worse results than in others. One wick that we burned and that lasted several decades until thousands were left dead in the confrontation, and later we didn’t move a finger to stop the slaughter. In any case, if I were able to put myself in the place of the Uruguayan, here is what I would have liked to have heard. Because if I had the opportunity to enter and leave the scenes, like in a play at the theater, according to the circumstances, I would have spent a few hours or days with the Jews in the concentration camps during World War II. I would have spent my weeks accompanying Mohandas Gandhi. I would have entered the rescue of Paris with Hemingway. Or I would have been in the reunion of La Mejorana, waiting for the dawn to accompany Jose Martí to Dos Ríos and die at his side. It’s true, the responsibility falls to the Cubans. All we have to do is take it. Affecting a reality that they have stolen from us. Let every minute carry with it the grief and agony of millions of compatriots who cry out Freedom. And now, what do we do?… What right do we have to continue breathing, treading on this Island that she so defended in the face of insults, threats and beatings?… I know that “to die for the Motherland is to live”*, so why are so few interested in living and prefer to live in silence, which is the worst of all deaths? What stuff was the Lady made of that, if she were granted the opportunity to return and change her position regarding the dictatorship, she would prefer to stay dead in spite of the sorrow of her family and grateful Cubans? May we be able to earn that life in which you now live, having justified staying on this Island you defended until death – it will be the only way in which you will live for the Motherland. And then may it not be the dead who raising their arms will still know how to defend her**. It will be us, possessed by your spirit, who will conquer the yearned-for freedom. Only thus will your death be a lie. *Words from the Cuban national anthem. ** Words from a Cuban poem. The writer and journalist Amir Valle, in a still unpublished interview, asks me the following question. And what about the powerful Cuban culture that has been developing for five decades already in exile, in many parts of the world? How do you think it can contribute, from the outside, to the need for a social change on the island? Without attempting to be an analyst, political strategist or demiurge, just one more artist who humbly offers his point of view, I believe that intellectuals in exile should stay as close as possible to Cuban culture, defend it firstly as an art, and then from the political position that they see fit. That should never be forgotten: first comes culture, then everything else. I am sure that that artistic weight is what raises consciousness and respect for a national dialogue which will result in a political change for the rebirth of democracy and the will of Cubans, although some claims, as usually happens, will be backed by a minority. I like this phrase so much, and I’m probably not quoting it verbatim, because having repeated it so often, it is so much a part of me that I made it mine: “I may not agree with what you say, but I will fight to the death to defend your right to say it.” Therefore,they must continue making use of their freedom and their technologically advanced media, which cannot be persecuted nor suffer direct reprisals like the confiscation of their computers. In some measure they should create a space for the nation’s denunciations, be the voice of those inside the island. Soften esthetic disagreements, self-serving attitudes, in the interest of achieving greater unity. The strength of the diaspora offers security to those of us still inside, those of us who demand the rights of all to live together in a future free and democratic Motherland, that will open her arms for the long-awaited reunion of her children scattered throughout the world. What I have no doubt about is that the Cuban intellectual class, inside and outside, is called to contribute profoundly to the future political transition of the country. 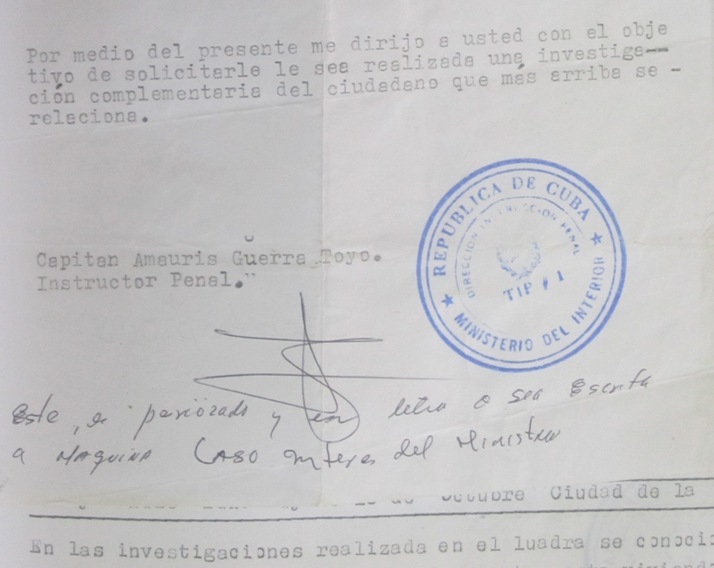 Photo of a fragment of a document from the file of Ángel Santiesteban-Prats where you can read at the end in a handwritten note: “Case of interest to the Minister.” Refers to General Colome Ibarra. Cuba’s totalitarian regime treats Defense Attorneys as unwelcome to those who have no choice but to endure them for sake of pretending, in the face of international public opinion, that they really have a judicial system capable of protecting the basic rights of the Accused before trial. In the course of the investigation, the Accused is never allowed the presence of his Representative, and receives the file when it is already accomplished fact, nor is he allowed to demand any legal presence or advice during this important time of intense interrogations and abuse by the police investigators. On August 5th my former Attorney submitted a complaint to the Director of the Collective Law Offices of Carlos III where she cited, with a copy to the Minister of Justice, the police pressure against her, and the complete lack of ethics and the audacity as they tried to involve her in the charges against me. Finally, I had to accept a change in my Legal Representative, and sign a new contract for my defense. The Attorney’s next step is to locate the file and enter his legal paperwork to be acknowledged as Attorney for the Defense. 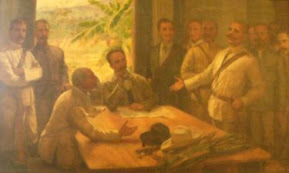 As required by his work, my representative presented himself on several occasions at the Picota police station, and after a great deal of evasion, someone let slip the secret that the file, as so often since I was at the Provincial Court, could be found at Villa Marista, headquarters of Cuban State Security. My Attorney started to call this headquarters and, of course, they knew nothing of this file, so he had to return to the Picota station and continue pressing them to locate the file. After talking to the chief of investigations, he was assured that this person had delivered it, personally, to an official named Oscar, at the Department of Special Cases at Villa Marista. In several calls that the Attorney repeatedly made to Villa Marista, they told him there was no official there named Oscar, finally allowing him to investigate the file in person. And after several hours at Villa Marista, they informed him that the case was already submitted to the Provincial Prosecutor, where he immediately presented himself. After two days of insisting, they called him to make an appointment and finally agreed to enter his paperwork for representation and to allow him to study the file. I will not report all the violations committed in this case, because every time I make public a transgression of the law, they invent a justification and resort to any artifice, thus worsening the crude process and my condition as the Accused. On the charge of Attempted Murder, they still haven’t managed to create every detail and have had to lower it to a charge of Injury. I am not an Attorney and I can’t understand the legal codes, but it’s easy to intuit their sleight of hand to associate me with some immoral crime. To prove that these accusations have no other purpose than a gross manipulation by the State in order to pressure me and to convince me that I should remain silent in my blog, I have the three “witnesses” of the Prosecutor: two are my ex-partner who exhibits various unforgivable errors to her credibility, and a friend who contradicts herself within the same statement; and the other. supposed to be the most important, agrees to record a video detailing the gifts my ex has given him and the pressures of the investigators to make a declaration against me, which debunks the arguments of the plaintiff and destroys the evidence of the Prosecutor who should, out of self-respect, drop the charges. But, on the contrary, they prefer to keep pushing and making themselves ridiculous despite everything, so they sent the file back to criminal investigation and there they came up with the idea of another accusation to try to discredit the video of the witness, and that forced them to lodge against me a new charge of “Assault.” Of course, again I am a ghost they can make and break without anyone seeing me. At times I feel like they have confused me with Batman. The experts have stated that “on the video there is no sign of any pressure on the ‘witness’ due to threats, that he expresses himself completely freely, that he was at home, that the video recording was done on different days and that he waited several months before reporting this alleged threat”. Furthermore, Captain Amauri Guerra Toyo is advised to delve into the witness’s characteristics in greater depth. In other words, he is told that he is lying when he claims to have been threatened. Moreover, in an attempt to undermine my credibility, the remember I posted to my blog when they sent me to the Havana Psychiatric Hospital (Mazorra), and that when I told the doctors my name they asked me if I was the writer, and began to talk to me about literature and comment on my books. Then I took off without knowing their professional determination about me, and now there is a certificate in the file where they certify that I do not have any mental disorder. So now the Prosecutor will issue a new petition to be added to those 15 years deprivation of liberty that were hanging over me before. 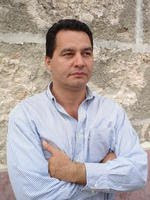 In this new revision of the file, which my previous lawyer had already shown me and of which I was able to take photos, the statements do not match, they have been altered to sharpen the opinion of the Investigator Amauri Guerra Toyo, whose role as an agent of the prosecutor and whose lack of impartiality is evident at all times. With crude maneuvering, at the end of the statements, you can easily see that there is a period, and next to it is added a comma and words that I never signed to, which occurred in front of my former lawyer. The malfeasance of Captain Amauri Guerra Toyo in his work as an investigator has been based on a looking for some possibility to connect me to the events they charged me with, which, after almost two years, has failed. In addition, the truth cannot be covered over with lies, adding to his ineptitude as an investigator, his lack of rigor and training in policing, ethics, humanity and culture. On several occasions he calls me “synical” and makes spelling errors such as: “kame” for “came,” “sertainly,” and “bicit” for “visit,” just to mention some of the most aberrant. When my Attorney decided to publicly release the proofs of fraud and falsification in the file itself, he delivered compelling evidence that once more disproved the accusations. On occasion, my Attorney could not help but smile without hiding the pain caused by so much injustice. He assures me that just one of the charges against me is sufficient to be in preventive custody, but the Prosecutor, knowing he possesses no proof against me, has preferred to let me remain out on bail. The Attorney is certain that at the trial my innocence will be obvious. But we must be aware of where we are living, the rigged processes of these 53 years which the Castro brothers’ government has accustomed us to. What a horror we have lived through! We know that to punish the voices and the acts that put their power in danger, they have armed the worst circuses. Just to name a few, I remember when they executed by firing squad a “Hero of the Cuban Republic,” as General Ochoa was. They have shot their ministers, others have died in prison in mysterious circumstances, people such as General Jose Abrantes, Minister of the Interior, killed only to benefit the Government by sealing a cave full of dates, details and facts about the Cuban leaders and their families. And just to site one of the latest and most scandalous sentences, that of the Spanish journalist Sebastian Martinez Ferrate, for making a documentary on child prostitution in Cuba. So, then, what confidence can I have in a process rigged by this Government ruling over the island? What guarantees do I have when facing a Court that openly responds to the orders and designs of the State? I declare myself guilty of being the author of this blog, The Children Nobody Wanted, and for this I will answer before God and my time.